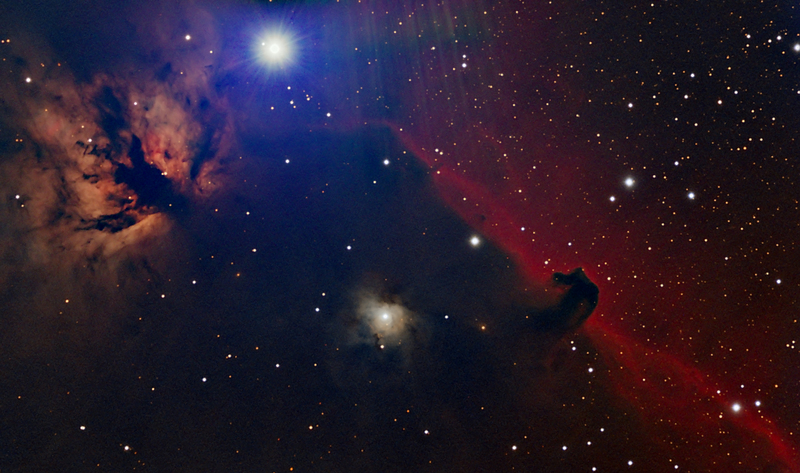 The Horsehead Nebula, also known as Barnard 33, is a dark nebula in the constellation Orion. It is located approximately 1500 light years from Earth. 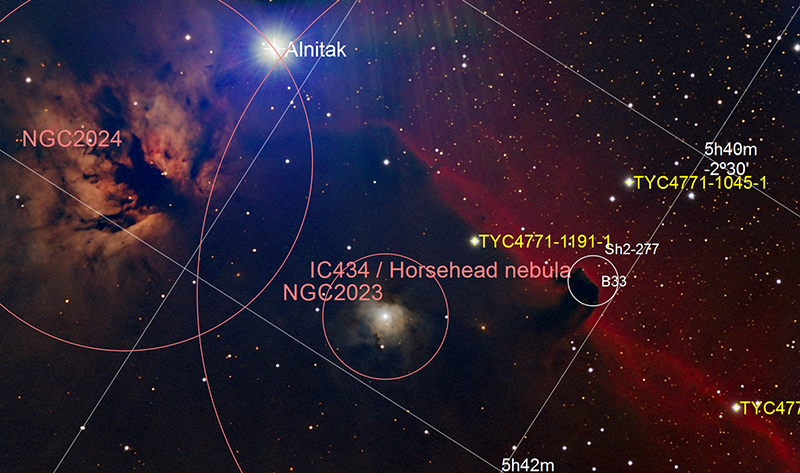 NGC 2024, The Flame Nebula, is a part of the Orion molecular cloud complex, a large star forming region in Orion. The nebula can attribute its bright color to ionized hydrogen resulting from ultraviolet radiation from the nearby bright star Alnitak, which is the Eastern most star in Orion’s belt.